All too often one assumes that if there has not been a spill or an accident, if the person sleeping on the bed has a good standard of personal hygiene and / or one uses a cover or some sort of protector over the mattress, that the mattresses on the beds in one’s home are clean and will remain that way. Unfortunately that is not the case. Even in the best maintained and most hygienic of homes one needs mattress cleaning in London to be carried out regularly by professionals. After a while all mattresses inevitably begin to collect dirt and allergens or various kinds and even bacteria and viruses. If there is damp in the bedroom or there was a liquid spill that didn’t dry properly or soaked deep into the mattress there may well also be mould and / or fungus of some kind growing on the surface or in the fibres. All of these substances pose a direct health risk to the person or people sleeping in the bed and those living in the home. In fact, all mattresses routinely attract and collect dust, dead skin cells (which we all shed on a daily basis), dust mites, loose hairs (human and pet), mould, fungus and even bacteria. All of these minute invaders lie unseen in and on our mattresses. Some of them, such as dust particles and fungus spores, often become airborne and drift around the home. For many people, these particles are problematic but for children, the elderly or those individuals who suffer from allergies, hay fever, asthma or other similar conditions the consequences of being exposed to these allergens or substances can be most unpleasant and potentially very serious in terms of breathing problems such as asthma attacks or lung disease due to medium- or long-term fungal or mould spore inhalation. 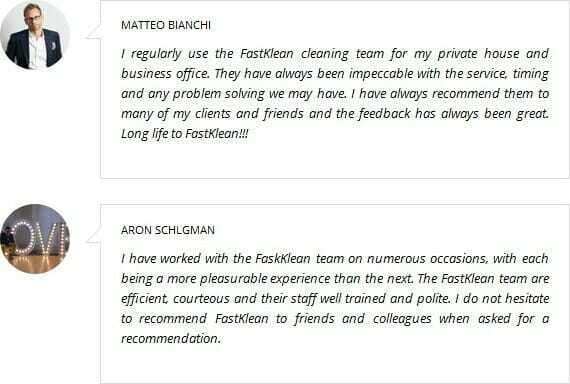 The solution is to call the FastKlean team in on a regular basis to keep all the mattresses in the home clean. Our teams of London mattress cleaners use a range of eco-friendly and biodegradable cleaning products and materials and the latest in specialised equipment. When our mattress cleaners are finished, a mattress is left clean, hygienic, odour free and dry. In addition, all of our cleaning services are insured for added peace of mind. 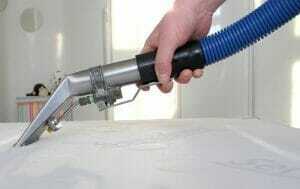 Get in instant mattress cleaning online quote. Call our cleaning company today on 020 8884 9149 to arrange to discuss your mattress cleaning in London needs. One of our friendly team members will provide a no-obligation, free quote for your specific needs over the telephone. You can also use our online booking form.